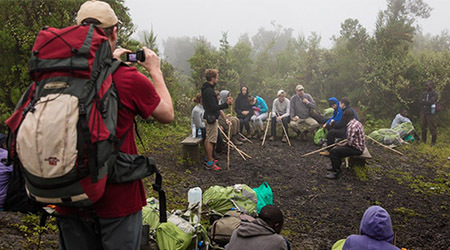 The 4 Days Gorilla safari Congo Mount Nyiragongo hiking tour is a safari in Congo that blends a hike to Mount Nyiragongo and a Congo gorilla trekking safari to Virunga National Park. This is one of the new safari packages that the park has put up as it is set to re-open for tourism by the 15th of February 2019. The trip takes you gorilla trekking and hiking which are both strenuous activities therefore need some preparation. 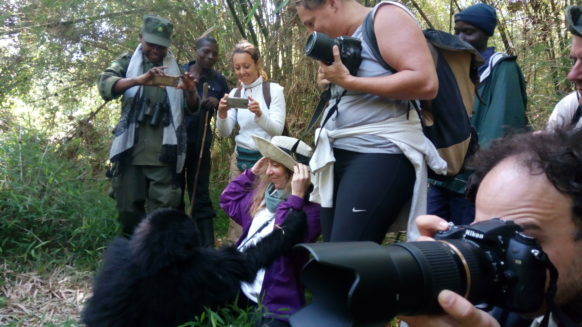 On the first day of your safari you arrive to Congo most probably from Rwanda (where there’s the closest airport with daily flights) then go for gorilla trekking the next day. On the third day, you hike the Mount Nyiragongo summit then spend the night there before descending and departing the next day. Day 1: With a pick up from Rwanda’s Kigali International Airport, your driver guide transfers you for a Congo safari. 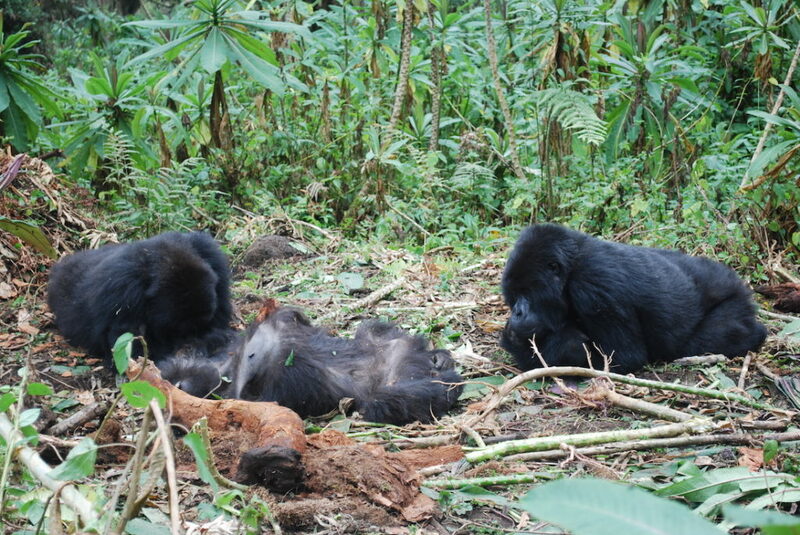 Day 2: You go for Mountain Gorilla trekking in Virunga National Park. Day 3: You take the hike to Mount Nyiragongo summit where you spend the night. Day 4: Early morning, you descend from the summit back then be driven back to Kigali International Airport for a departure flight. On arrival at Rwanda’s Kigali International Airport, you meet your safari driver guide for a transfer to Congo. On about a 4 hours drive on 173km, you arrive to Goma town in Congo where you check in, have dinner and relax at a booked accommodation facility. 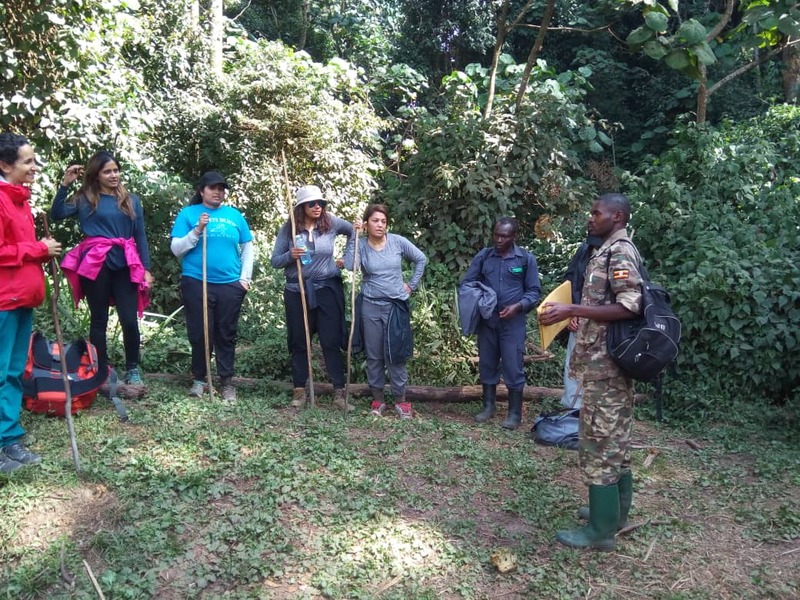 After an early morning breakfast at Kibumba Tented Camp, you head down the hill to meet your ranger guides and have a briefing before the gorilla trek. 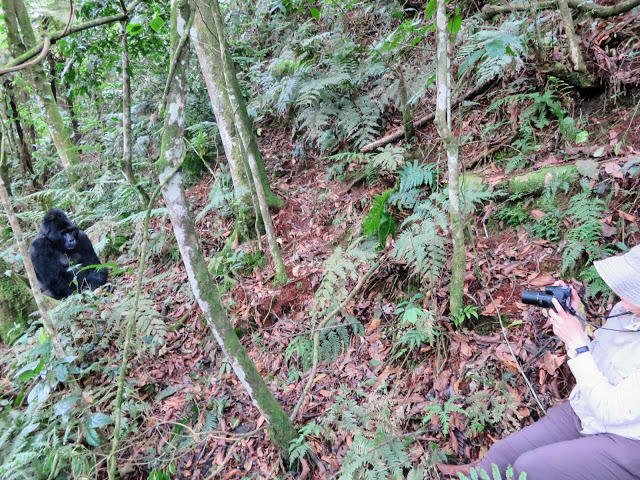 During the briefing the rangers remind you of the gorilla trekking etiquette, you receive a mask and gorilla trek stick. You then start the trek which usually requires 1-2.5 hours of hiking each way, depending on the location of the gorilla group being trekked and the difficulty of the terrain. 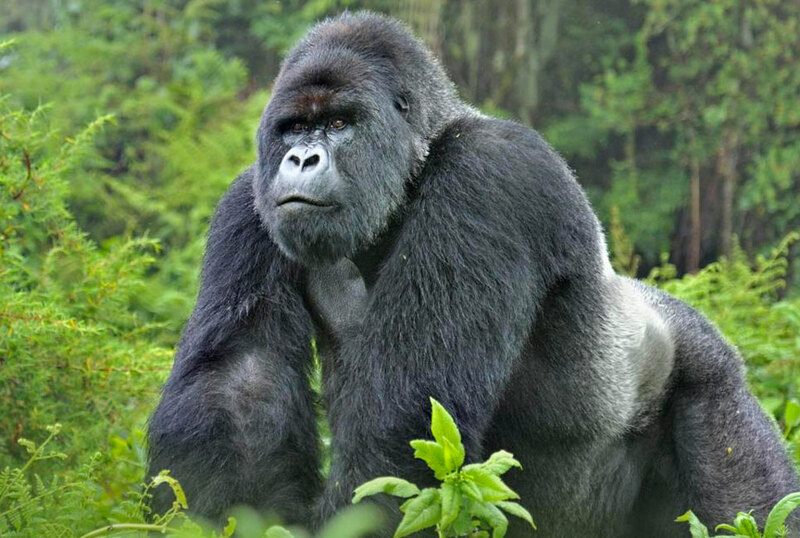 Only 1 hour is allocated for a gorilla trekking safari in Congo and after spending the allotted hour with the gorilla family group, you will make your way back to your lodging facility. You have late lunch and relax for the rest of the day. After breakfast at your lodging facility, your driver guide will transport you to the Kibati Ranger Post (departure point for the Nyiragongo volcano trek) arriving at 8:15am. On arrival to Kibati, you receive a briefing and have the opportunity to hire porters to carry your luggage to the summit. Taking five segments of the hike the climb up the volcano will take around four to six hours with stops after every segment. You spend the night at the Nyiragongo summit as you view and take photographs of the beautiful lava lake. Early morning by about 5:00am, you wake up and get ready for the descend from the summit that starts at 6:00am. The descend is a bit slippery as you return to the kibat station where you arrive and meet your driver guide waiting for you. You then embark on the drive to your next destination or for departure via Rwanda’s Kigali International Airport. If you have been looking for the perfect way to tailor your Rwanda gorilla safari or wildlife safari in Uganda to a Congo safari then here you go. Just plan right and have the best ever safari experience in Africa. One would ask, what the hell would one want to see on an active volcano, those who have been there have never regretted and that’s why every single person who goes there comes back with a smile.